We love nothing more than a creative take on an event, and ever more so when it’s in our backyard of Lindenow VIC and in company with the region’s best of the best Chefs, Produce and Wine to compliment, so when Seventy Event Management asked us to be a part of such a wonderful event for Gippsland, we couldn’t resist! Set in the small town of Lindenow where farming and fresh produce are the star of this close-knit town, we helped organisers; East Gippsland Marketing, East Gippsland Food Cluster (EGFC) and Destination Gippsland transform the local town hall in to a sophisticated foodie haven with a touch of country charm. 140 guests rolled in to the quiet town where they were greeted with a glass of local Gippsland wines and roaming canapés before invited to dine inside the hall to enjoy a five course degustation menu prepared by local award winning chefs who each prepared a menu designed solely around the region’s own fresh produce to match and compliment our local wines. 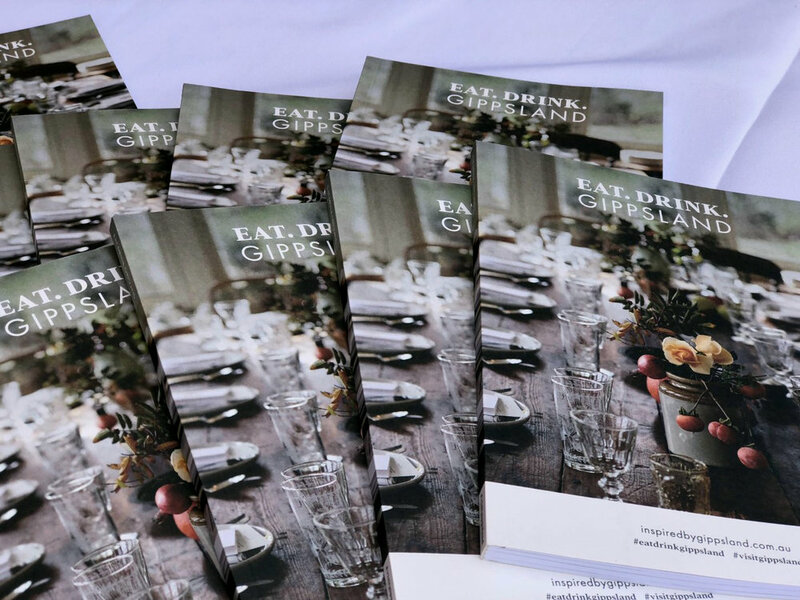 We gained prior access to the menus prepared by The Long Paddock, Albert and Co, Northern Ground, Sardine and Tinamba Hotel to draw inspiration for designing a restaurant atmosphere that would fit the brief perfectly. We wanted to really have an element of surprise and encourage guests to interact and start a conversation around what this event meant to our region. And so; tables were styled in all white linen for that fresh classy feel. 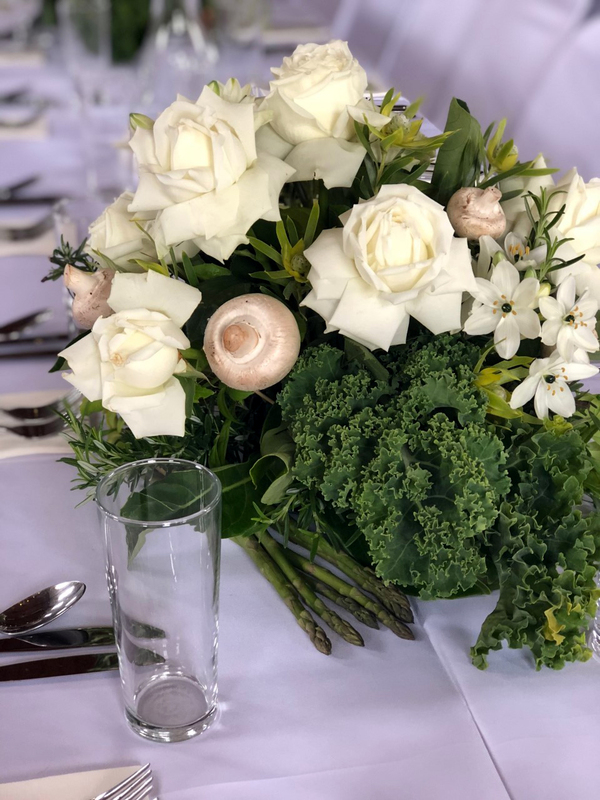 The table centrepieces were designed to be the star of the styling. 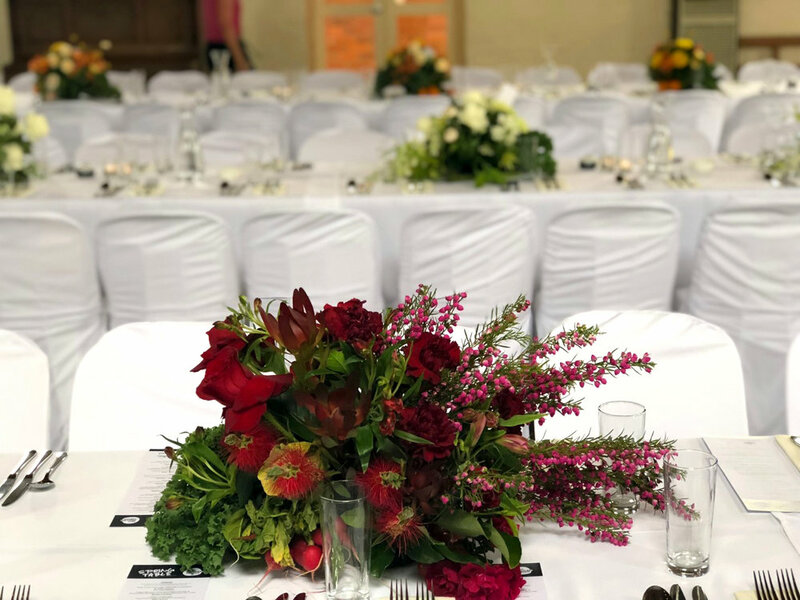 Each row of tables had a colour palette that was made of of fresh local grown flowers as well as some of the ingredients that featured in the Chef’s menus. Kale, Lemons, Raddish, Baby Carrots, Mushrooms, Asparagus + more were incorapoted in to our organic table centres. After the event, guests were encouraged to take a centrepiece home and get creative in the kitchen. 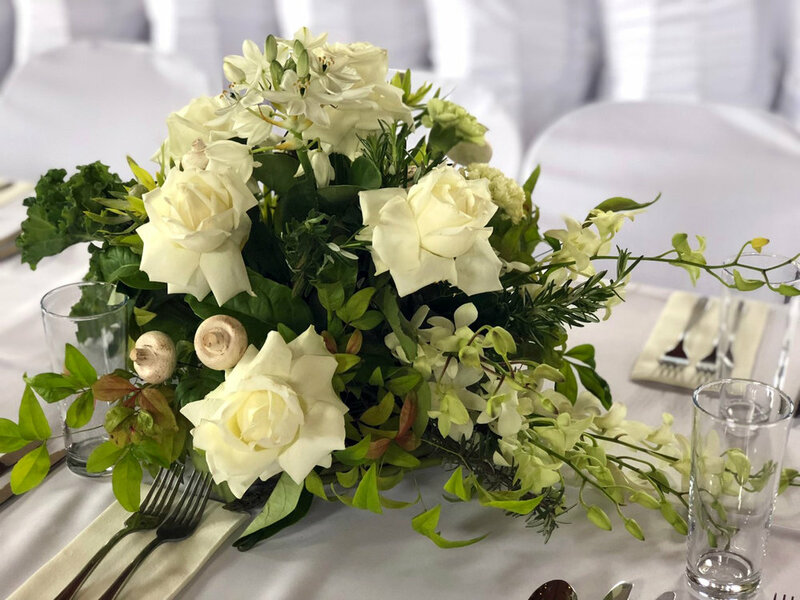 We absolutely loved spreading our creative wings with this event and love the idea of re-purposing our centrepieces like this. 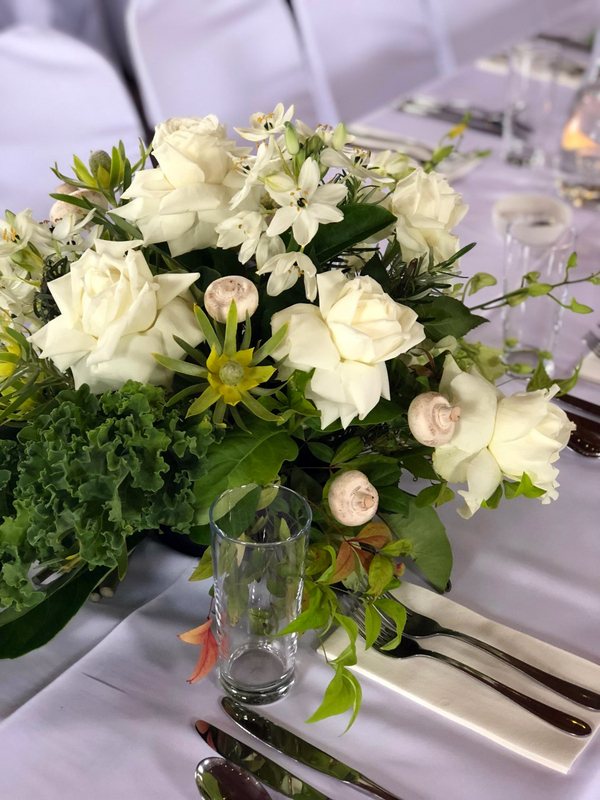 Hearing the reactions of guests as they took a closer look at the table centres is that element of surprise we love to see. We are so very proud of our home and so honoured to be able to help make East Gippsland produce, it’s farmers and it’s chef’s shine on an incredible level last Spring. Thank you for inviting us along. Organisers: Seventy Event Management & Communications, East Gippsland Marketing, East Gippsland Food Cluster, Destination Gippsland. Chefs: The Long Paddock, Albert and Co, Northern Ground, Sardine, Tinamba Hotel. Wines & Beverages: Lightfoot and Sons, Blue Gables, Nicholson River Winery, Tambo Estate Wines, Sailors Grave Brewing, Bullant Brewery.